Berner Ltd engages in long-term cooperation with selected partners and strives to be an active and responsible member of society. Berner is a member of FIBS ry, Finnish Business and Society. 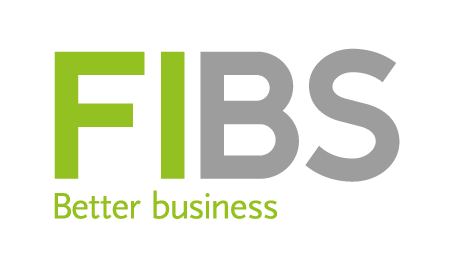 FIBS is Finland’s leading corporate responsibility network. Its mission is to promote financially, socially and ecologically sustainable business in Finland. FIBS ry’s services include events, CSR training and coaching, newsletters, and publications. Berner participates in the Baltic Sea work by providing an easy way for home gardeners to save vital resources and use Baltic Sea friendly GreenCare garden fertilizer made of recovered and recycled nutrients. We at Berner are also committed to making a donation to Baltic Sea Action Group based on the sales of GreenCare Ympäristön Ystävä -garden fertilizer product sales. In addition, we commit to broadly examining possibilities of the recycling nutrients, both in home gardening and agriculture to promote sustainable and Baltic Sea friendly farming and gardening. Each year, we cooperate with a variety of projects and associations. Supporting the well-being of children and young people is particularly important for us. We are participating in the program fort he centennial of Finland’s independence in 2017 by donating 30, 000 euros to the Save the Children “Eväitä Elämälle” (Fuel for Life) program. Through the “Eväitä Elämälle” programme Save the Children supports the school attendance and hobbies of children at risk of social exclusion. This support is directed at children whose scope for continuing to go to school or to participate in leisure activities is jeopardised due to family poverty or other social problems. We have supported Finland’s Veterans’ Federation for several years. We work with the Finnish Heart Association to increase awareness of the prevention of cardiovascular diseases. We are supporting member of the Finnish Pain Association. We have also provided extensive support to sports through partnerships with the Finnish Tennis Federation, Finnish Bandy Federation, Finnish Gymnastics Federation and the Finnish Floorball League. We have also supported projects related to themes such as youth employment and environmental protection.